Zadar's old town, with its Roman ruins and medieval era churches, sits on a peninsula jutting out of the Dalmatian Coast about half a kilometre in length, surrounded by Venetian walls. Both beautiful and historic, Zadar is a wonderful city with just the right amount of buzz. And we hope you'll find our picks of the best places to stay in Zadar to be just as buzzy and surprising. Narrow lanes of white limestone made smooth from the passage of time, sunset views over islands in the Adriatic, garlic and figs strung up prettily in the marketplace, ancient churches lit up against the night sky - the city of Zadar packs plenty of gorgeous images for its size. At the moment Zadar isn't a huge tourist destination - which is a good thing! But it does mean that there isn't a huge choice when it comes to accommodation in the centre of town. There is plenty in leafy Borik though and this is one of the best places to stay in Zadar as you have good access to the city and resort-like surrounds. The stone-paved streets and ancient squares of Zadar are mostly pedestrianised. Exploring the old town on foot is easy and you are always near a pavement cafe for coffee, beer or food, including rolls made with the famous local ham. There are plenty of restaurants and these tend to serve freshly cooked local food, especially seafood, and are quite reasonably priced. At the end of the day it is worth being on the promenade facing west for a great view of the sun setting over the sea and the nearby islands. Zadar's mix of architecture - from Roman ruins to Habsburg elegance and some great modern additions, means it's no Dubrovnik. But who needs another Dubrovnik! Each phase of Zadar's history has left a mark. Churches, cathedrals and museums are all within a few minutes walk of the centre of town where there is a wide square - once the Roman forum. Near the quay, where fishing boats still dock, is the busy, colourful market selling fresh fish, fruit, vegetables, cheer (Zadar's famous ham) and other local produce. As well as the ancient buildings there are some interesting modern structures to see. The bridge connecting old and new Zadar was destroyed in the post-Yugoslavia conflict and the new one was designed with lighting so that people crossing it at night are silhouetted forming a moving art work. At the seaward end of town is a unique musical instrument, a sea organ. Visitors and locals sit on white marble steps by the water and listen as waves generate sounds in a series of pipes and resonating chambers, producing natural music blending with the views of sea and sky. Our pick of the best places to stay in Zadar is ideally situated to make the most of both the culture and night life. If you do want to be in the heart of the old town, one of the best places to stay in Zadar is the Hotel Bastion. 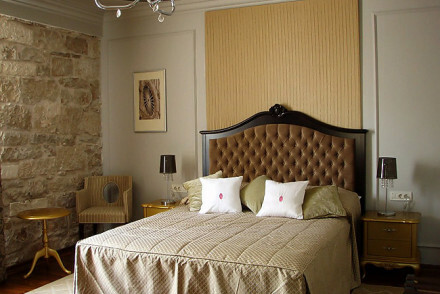 As well as being close to everything, this hotel is built right into the city ramparts. And with some of its traditionally elegant rooms sleeping up to four, this is also a great option for families. 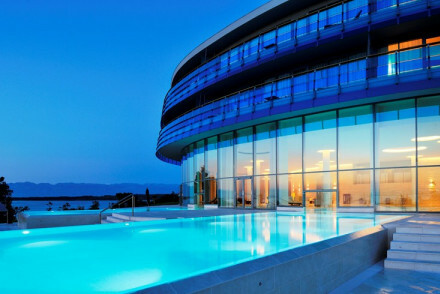 Just along the coastline in Petr?ane, is the Falkensteiner Hotel & Spa Iadera, a fabulous contemporary spa hotel with panoramic ocean views, a vast state-or-the-art spa and a fantastic Dalmatian restaurant. The decor in the 110 rooms and suites has a nautical theme. Zadar airport is eight kilometres from the centre of town, and is in the middle of the Adriatic so is busier than you might imagine. Zadar is also connected to Split and Zagreb by rail but journey times are long and it’s slow going. If you want to hire a car - which we strongly advise if you’re staying in Zadar and want to see more the Dalmatian Coast, but you don’t have a sail boat - we recommend you visit our online partner, Rentalcars. Summer has the nicest weather, but this is peak time for visiting the Dalmatian Coast and between the cruise ships and those restricted by school holidays, it’s pretty busy. So the best times for most of us to visit are May-June or September-October when the days are long and sunny, the sea is still warm enough to swim in, the attractions and restaurants are all open - but you don’t have to queue for them. Still not sure which is the best place to stay in Zadar for you? or just the best hotels on the Dalmatian Islands? This intimate hotel of just nine rooms is in a beautifully renovated 19th-century building. The classical exterior is juxtaposed with stylish, contemporary design. 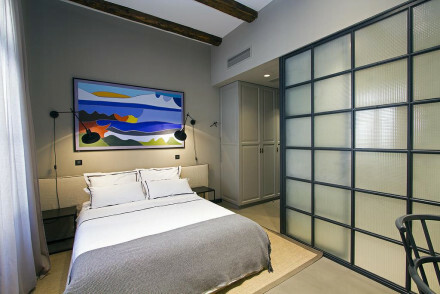 Chic rooms are decorated in earthy hues and feature polished concrete floors and large oil paintings. An undeniably cool spot. A good four star option a few minutes from Zadar's old town. Traditional elegant rooms, some sleep up to 4, with subtle lighting, rich fabrics, and wallpapered walls. Excellent restaurant and terrace, spa and business room. A good choice for any traveller. A stylishly designed hotel featuring chic contemporary fittings and decor, with indulgent breakfasts and gourmet dining. 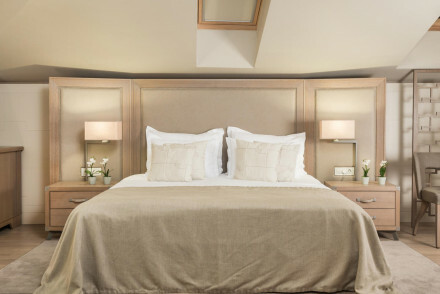 Smart rooms are in a soothing palette of beige and cream with pretty locally sourced natural stone and large modern bathrooms. A sophisticated and practical base. A fabulous contemporary spa hotel on the Petrcane peninsula. Panoramic ocean views, a state of the art spa covering two floors, fantastic Dalmatian cuisine, and charming nautical themed rooms and suites with all the mod cons. A sophisticated choice for a spa and beach holiday, family friendly too. Foodies - Dalmatian specialities in two restaurants. Spa breaks - A two floor state of the art spa. Families - Plenty of children's activities.